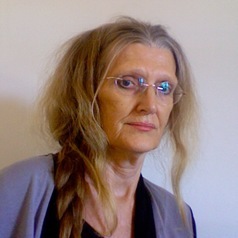 Freya Mathews is Adjunct Professor of Environmental Philosophy at Latrobe University and Adjunct Professor of Eco-civilization Studies at Monash Sustainability Institute, Monash University. Her books include The Ecological Self (1991), Ecology and Democracy (editor) (1996), For Love of Matter: a Contemporary Panpsychism (2003), Journey to the Source of the Merri (2003), Reinhabiting Reality: towards a Recovery of Culture (2005). She is the author of over sixty articles in the area of ecological philosophy. Her current special interests are in eco-civilization studies; indigenous (Australian and Chinese) perspectives on “sustainability” and how these perspectives can be adapted to the context of contemporary global society; and wildlife conservation and ethics in the context of ecological extremis. In addition to her research activities she manages a private biodiversity reserve in Central Victoria.